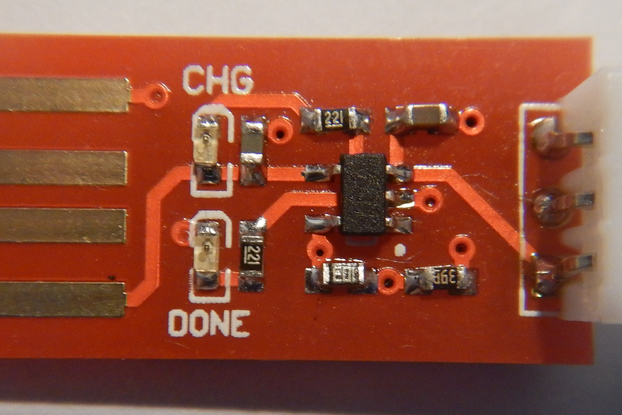 This is a new version of LiPo charger add-on board for the Teensy 3.X based on ST Microelectronics' STBC08 linear battery charger. The charger provides the option of 300, 500 (default), or 800 mA charge current. Aaron Ryan has created some very nice CAD models of this battry charger, see here. For 300 mA, close the solder jumper marked 300 mA and cut the trace between the solder jumper pads marked 500 mA. For 500 mA, do nothing! 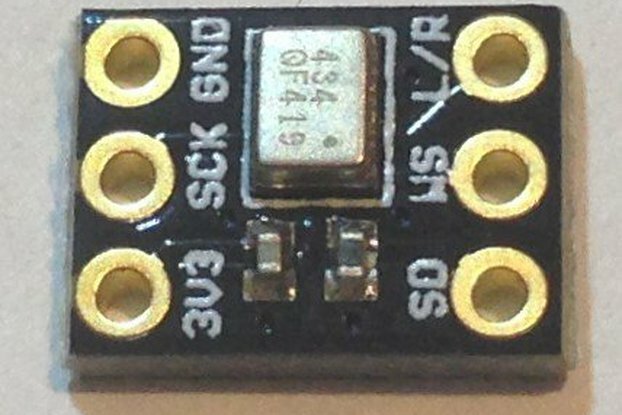 For 800 mA, simply close the solder jumper marked 300 mA. If you cut the trace and wish to return to 500 mA, then you have to close the left solder jumper and open the right one. Consult the data sheet and the schematic; it's really quite simple once you have a look. This LiPo battery charger add-on has the same convenient form factor as the popular original LiPo battery charger add-on based on the MAX1555. 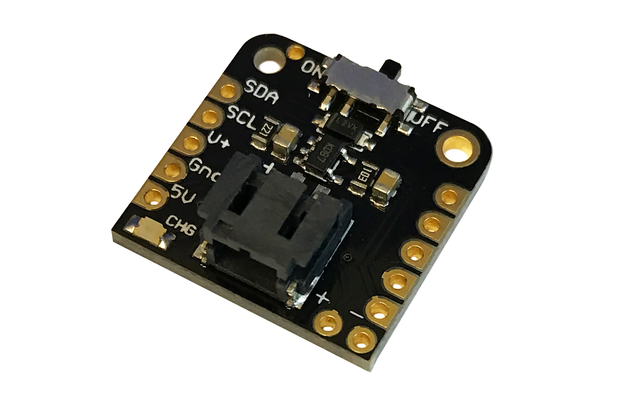 It mounts onto the Teensy in the same way and is functionally identical except it has no DC input and provides a greater range of charge currents. The new charger, like the old, has a red led to indicate charging, a green led to indicate power is supplied to VIN (chosen by using the slide switch), but also has a yellow led indicator for USB power good. This latter is useful to alert you to noise on the USB line, a frayed or damaged USB cord, or just the wrong USB input voltage. The slide switch which controls power to the Teensy is improved with lugs to make the switch more robust and less prone to tearing off with rough handling. Overall, this is a significantly improved version of a popular product that makes all of your Teensy projects easier and more convenient! I received several requests for a LiPo battery charger with higher current since the MAX1555 is limited to 100 mA when the charge source is the USB cable. For the 40 or 150 mAH batteries I usually use for my portable projects this is no problem. But for larger projects that run from 500 mAH or even 1800 mAH batteries, the charge times would be impossibly long. 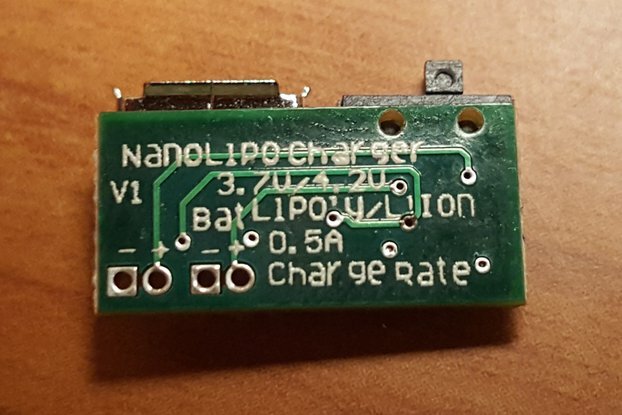 This new LiPo battery charger preserves the appallingly small form factor of the original LiPo charger but provides up to 8 times the charge current. In my own experiments, a drained 350 mAH LiPo battery was charged in 75 minutes at 500 mA charge current, and in 48 minutes with 800 mA charge current. Compare this to the 400 minutes it took for the MAX1555-based charger at 100 mA and you can see the advantage of this new charger! 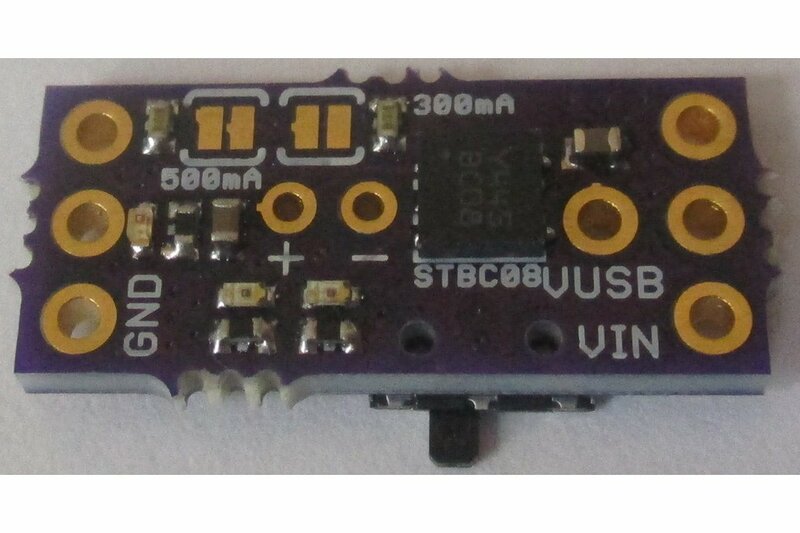 This LiPo battery charger is just as small and convenient to mount on the Teensy as its predecessor but now can be configured by the user to provide the charge current right for most applications. 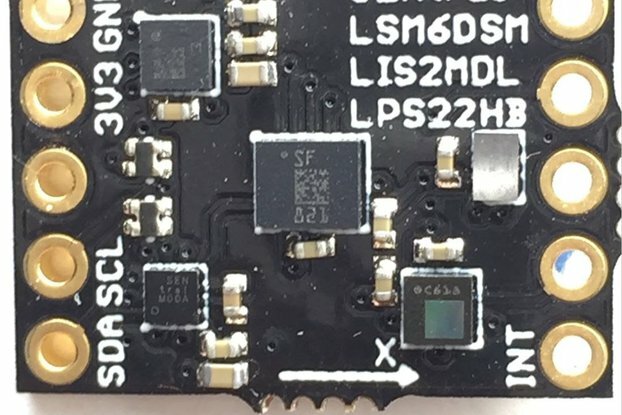 Order the pc board from OSH Park and assemble your own or order the fully assembled and tested STBC08 LiPo charger from me and see what fast LiPo battery charging can do for your application! I'll be honest and say that I only just got the charger hooked up to my Teensy LC tonight, so I can't say much about how well it works yet, but I can tell you this guy's support blows everything I've ever seen out of the water. My order got here earlier than expected. I emailed him with questions a few times, and every time I had a question he answered within 15 minutes (which I would never hold anyone to). Above and beyond and very professional. There is complete documentation on the charger, but some of it is on the page for the earlier version of the charger. There is a link on the page to it. It's pretty exciting to see my Teensy sitting there blinking without being plugged in to anything! Would 100% recommend. I'll definitely be back, and will probably try out a few of the other cool things he has for sale. *The Vin and Vusb traces on the Teensy must be separated. 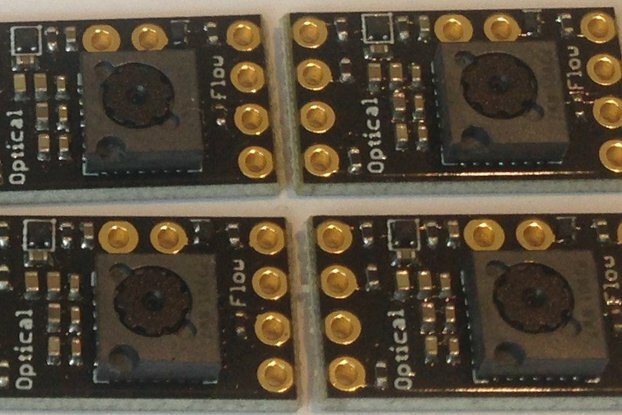 *Only the (4) labeled connections require soldering to the corresponding Teensy pins. A Teensy audio board is directly below the Teensy, so I had to mount below that. It works, powering both of these and an audio Bluetooth module, and charging a LiPo battery connected via wires. The lug switch could be larger - planning to replace for finished device. The charger is exactly what I needed and has been functioning perfectly thus far. It would be nice if the seller included a picture of how it is expected to mount to the Teensy. 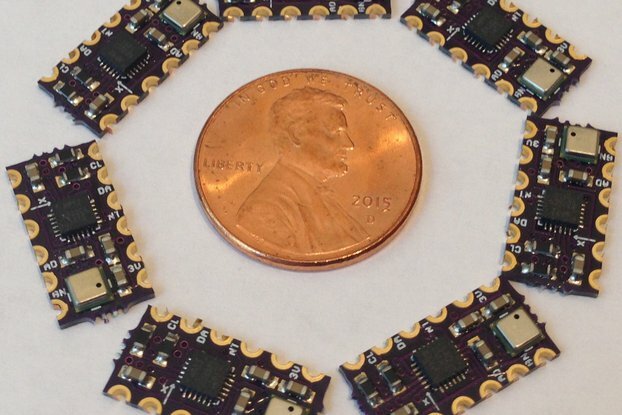 It took me a few test fits to find, what I think is, the correct orientation of PCB and JST. Some documentation on the LEDs would have been nice as well. Shipping was prompt; I ordered it on a Sunday and the seller had printed out a shipping label by the end of the day. First off, this is a great product, and my go-to on every project I do, cause I want portable. Will this charge a Li-Ion battery without problems, in particular a cell battery like a rechargeable CR2032? Upsides: Overlays directly on a Teensy 3.x, adding only a few millimeters of height. Includes standard JST connector. Has a number of LED's. Has a power switch. 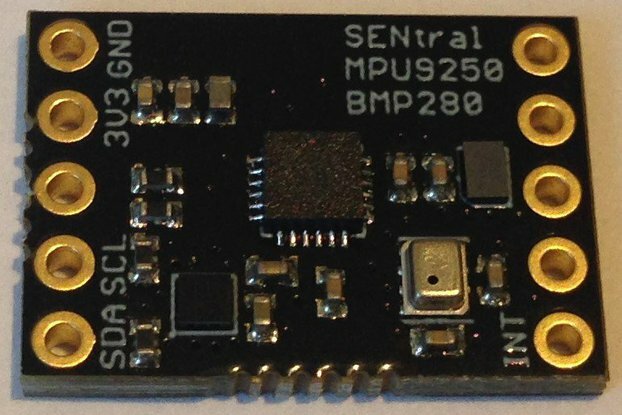 Can charge LiPo cell through the Teensy's USB port. Open hardware. No configuration or sequencing necessary. Downsides: LED's are not documented. LED's consume current unnecessarily and are not jumpered. 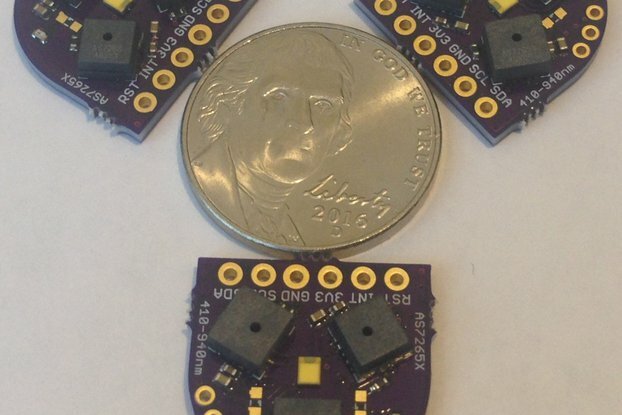 No feedback to Teensy about the battery's status. Possibly no inbuilt undervoltage lockout. Unclear documentation that requires pre-existing knowledge. Blocks a couple of IO pins. Unclear documentation about jumpers. JST socket is mounted to the top of the board and adds unnecessary height. Switch is very fragile. No pads provided to add a panel-mount switch. Note: The battery's voltage is fed directly into the Teensy's VIN pin. 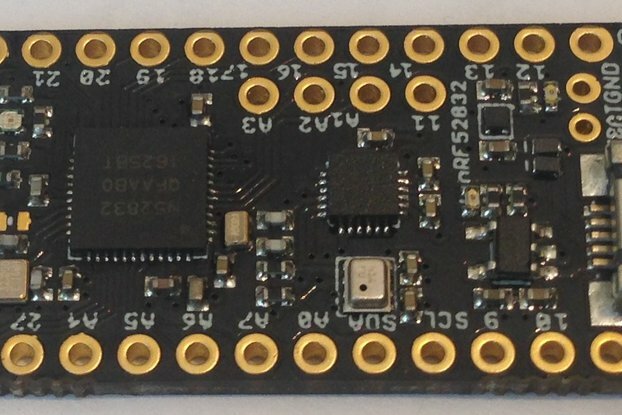 The Teensy itself regulates it to 3.3V No 5V rail will be available on the Teensy. You must cut the VIN/VUSB jumper on the Teensy to charge the battery. TLDR: If you want to power a Teensy off a LiPo, this is your solution. I usually mount the JST connector between the battery charger and the Teensy. I am surprised you can mount it on top. Of course, in many applications the battery can simply be soldered directly to the battery charger and simply be charged when the USB cable is plugged in. 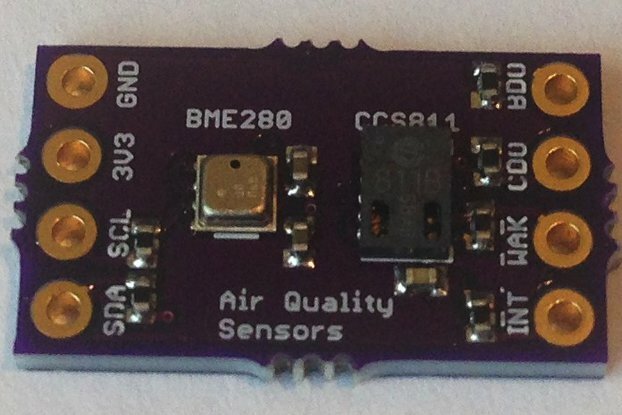 I do expect that people who use my products will look at the schematic and read the corresponding data sheet to understand the details of the chip function, if they need to know them. For most people though, the use of the battery charger seems to be intuitive enough to avoid this step. Please ask me specific questions if anything about the function of this charger is unclear and I will be happy to answer them. Thanks for the detailed review! I ordered the previous version to test my project on a small lipo battery and was very happy with the whole order process and the product. The new product is even better! Due to the higher capacity I can now use a 2200mAh lipo without problems for my design. I can only advice to buy and try this perfect product!